The mat file extension is also frequently used for graphic materials in computer game. These are generally in different file formats but used for same purpose. Typically bundled together with other graphics elements, like models or meshes, textures etc. Dragon Unpacker is unpacking tool for resource files from computer games, which is very popular in moding community. It supports plethora of file formats and also is able to search for known patterns in unknown file formats. .arch05 Explorer is extractor of *.arch05 game data files from Middle Earth: Shadow of Mordor. 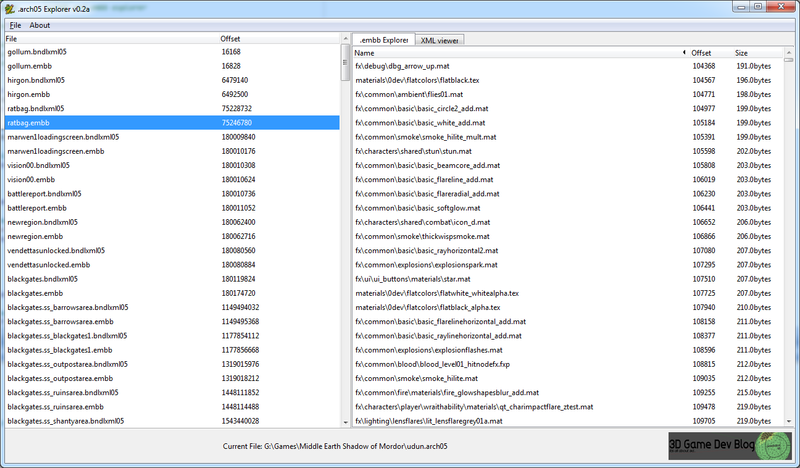 Some mat files can be extracted from game data archives with using Dragon Unpacker and other tools. As far as we know, this .mat file type can't be converted to any other file format. This is usually the case of system, configuration, temporary, or data files containing data exclusive to only one software and used for its own purposes. Also some proprietary or closed file formats cannot be converted to more common file types in order to protect the intellectual property of the developer, which is for example the case of some DRM-protected multimedia files. Programs supporting the exension mat on the main platforms Windows, Mac, Linux or mobile. Click on the link to get more information about listed programs for open mat file action. Programs supporting the exension mat on the main platforms Windows, Mac, Linux or mobile. Click on the link to get more information about listed programs for extract mat file action. Click on the software link for more information about Middle Earth: Shadow of Mordor. Middle Earth: Shadow of Mordor uses mat file type for its internal purposes and/or also by different way than common edit or open file actions (eg. to install/execute/support an application itself, to store application or user data, configure program etc. ).